【Japan’s First Introduction】Scibids, algorithmic solution for automation and optimization for DSP-using ad campaigns, has been introduced for the first time in Japan by Adflex. Adflex communications, inc. (head office: Minato-ku, Tokyo; President: Haruhiko Kuwahata; hereafter: Adflex) has launched Japan’s first ad campaign using Scibids (head office: Paris, France; hereafter: Scibids). Scibids is an innovative algorithmic solution dedicated to automation and optimization of programmatic media buying. It has been recognized “as one of the most innovative business in Ad-tech” by Brian O’Kelley described by Forbes as King of Ad-Tech. Scibids AI operates as an “algorithmic trader” on top of programmatic buying platforms, automating bespoke campaign optimization routines. This includes predicting the conversion rate for each impression, allocating the budget between all buying strategies, overwriting some setups in the DSP, in order to carve out the best buying patterns. With Scibids programmatic media buyers are capable to focus on more strategic tasks, like designing campaigns, working on refined audiences, and customer services and reporting, while the tedious work of crushing reports and adjusting campaigns is fully automated by a dedicated machine. Scibids’ machine process over 1000 To of log level data per day, and generates daily half a million buying models for over 40 of the most advanced media buyers of the globe. When mainstream trading uses single dimension analysis to evaluate the quality of impressions (e.g. device, browser). 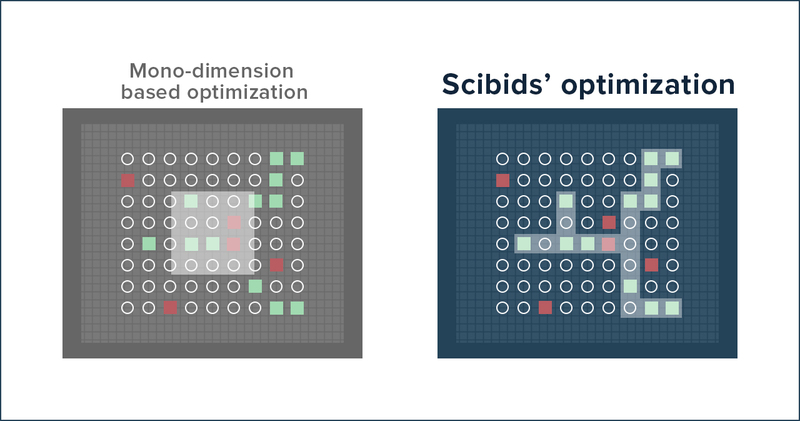 Scibids’ AI technology, automates multidimensional analysis (simultaneous analysis of multiple signals). “Scibids team has been very positively impressed by the Adflex team’s expertise which has quickly understood the mindset shift required when moving from manual trading to algorithmic trading. We are very pleased to see the partnership with Adflex grow and offering Scibids to the Japanese market” Julier Hirth – Cofounder of Scibids. Adflex has tested the Scibids product on several campaigns on top of DV360, including on for a housing equipment company, a week after the install of Scibids, Conversion number has increased by 58% and CPA improved by 79%. “Scibids help us move to the next level in Programmatic media buying, enabling us to gain in efficiency, autonomy and performance. We could then deliver a significantly improved ROAS to our customers”　adflex staff. Adflex is building a strong expertise in AI and ML applied to digital media, and will improve its AI solutions and services further including Scibids for solving issues, and continue to work to serve clients better. Name　: adflex communications, inc.
© adflex communications, inc. All Rights Reserved.